Both Sontag and Capa are controversial figures. 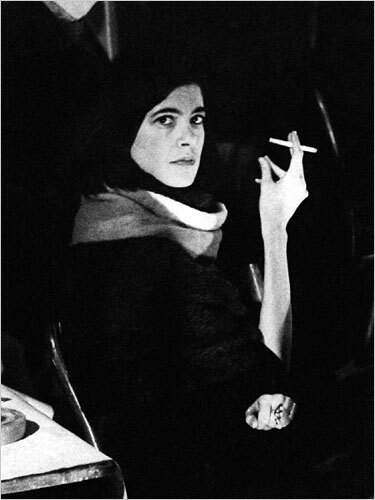 Sontag has been lauded and criticised for her evolving opinions on the photographic image and the desensitizing results of overexposure to violent images, from On Photography (1977) to Regarding the Pain of Others (2003). 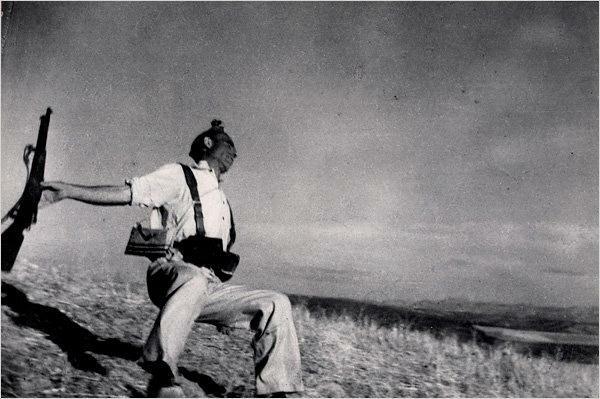 Capa’s career-making photograph of the falling soldier (generally agreed to have been taken in Cerro Muriano in Spain on September 5, 1936) has also suffered controversy through doubt cast over the photograph’s authenticity. However, Sontag and Capa have both been styled as moral compasses. Capa was, according to Susie Linfield, a photographic “moralizer” in whose photographs – and in photographs of violence in general – Sontag recognised the spectator’s disturbing moral detachment. But in exploring Capa’s work, Sontag has been criticised for her “coolness… detachment… condescencion… (and) critical tone” – this from a recent review on Linfield’s book ‘The Cruel Radiance: Photography and Political Violence’ (2011) in the TLS. The tension inherent here creates confusion. How is Sontag detached? Emotionally? Morally? From reality? From politics? How is the spectator detached? The same questions may be asked. The space where these questions may be confronted will be illustrated in this article. Sontag’s controversial views on the moral effect of photographs, and the moralising tone she employed in On Photography had by 2003 arguably developed to a “Sontag (who) is no longer as committed to defending her moral position as she is to entreating us to narrate and to interpret”. This exhortation to spectate whilst narrating and interpreting (seeing whilst knowing and feeling) is the most suggestive of Sontag’s own vacillating narrative on photography. My article will explore the controversial relationship between Sontag and Capa’s photograph, the moral questions it generates (with particular attention paid to the Spanish Civil War), and the wider theoretical relationship implied by Barthes’ three planes of the photographic ‘artifact’ – the Operator (Capa), the Spectator (ourselves, Sontag) and the Spectrum: “the person… photographed is the target, the referent, a kind of little simulacrum, any eilodon emitted by the object…” in whom “…the word (Spectrum) retains, through its root, a relation to ‘spectacle’ and adds to it that rather terrible thing which there is in every photograph: the return of the dead”. Sontag has viewed photography as a Modern replacement of the Platonic real that attempted to “loosen our dependence on images by evoking the standard of an image-free way of apprehending the real”. John Berger, a favourite at NLP, sees in photography a fixed ‘trace’ of the human memory removed from the “flow of appearances”, which raises the following question (posed by another NLP hero, Walter Benjamin): “whether, with the invention of photography, the very nature of art had undergone a change”. Instead of focusing ontological discourse on “realities understood in the form of images”, photography is reality etched in imagery, images that are apprehended by their spectators as modern reality and thus, in Sontag’s own words, “illusions”. This illusory, or partial, nature of photographic imagery not only skews reality but skews time – according to Barthes scholar Sharon Sliwinski, “looking upon an image can induce a state of delirium in which the past actually feels present. Photography is a form of hallucination in which one can feel oneself to be in a prior time”. Thus the spectator is placed in a curious space: the advent of photography has, according to Sontag, skewed our sense of the real. The spectator’s trajectory through photography’s field of images also skews our sense of time. This irreal, temporally ambiguous space is where this article posits the relationship between Sontag and Capa’s renowned image of the falling soldier. The tortuous critical route now required to reach Capa’s photograph can further fog the already contorted lens through which photographic political violence is viewed in an age of mechanical reproduction. Furthermore, Sontag’s changing opinion on the spectacle of war means that the relationship between her texts and Capa’s photograph are in flux. The errant symbols of theory do not always allow for the physical dimensions of Capa’s photograph, and what it depicts. However, by definition it is complex to view ‘Death of a Loyalist Militiaman’ (1936) without knowing something historically or socially (or thinking one does) about it, or feeling something towards it (ersatz, moral or otherwise), and thus converting it immediately into “a shadow”. Indeed, this is what ‘seeing’ a photograph should be, according to Sontag. Originally, Sontag’s “spectacle (for masses) and… object of surveillance (for rulers)” was as much a ‘disease’ as it was an ‘antidote’ – that is to say the reality of the photograph relied on contemporary political and social trends and thus could evoke activism, but was more likely to evoke passivity. Her cynicism grew. Later (and she admits readily quarelling with her earlier self), the ‘passivity’ of viewing the many mass-produced ‘controlling’ images, the spectator’s “lust” – voluntary or otherwise – is what Sontag believes leads to these depictions of violence becoming an object of detachment on the spectator’s behalf. Sontag denies the “French speciality”, after Baudrillard and Debord, of ‘hoaxes’ and ‘illusions’, a photographic simulation because “reality has abdicated”. The photographic spectacle of the real, for a Regarding-era Sontag, is an intolerable concept – the spectator is naïve if they are not aware of the horrors of warfare, and Sontag’s reality in Capa’s photograph would be: the spectator’s duty to know about the Republican’s plight during the Civil War; a feeling of moral outrage at the continuing “aggressiveness of the world”; and not giving in to passivity or the lust of the spectacle. 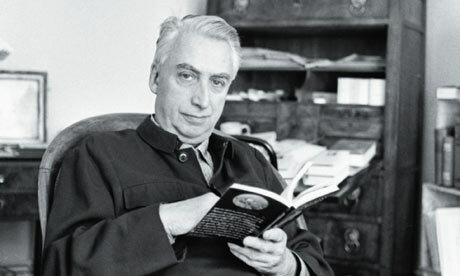 Furthermore, according to Spanish cultural theorist Jo Labanyi, the spectator “should eschew empathy for rational detachment, lest we be engulfed by the emotion at the expense of political action”. The spectator has a responsibility to the photo’s subject. 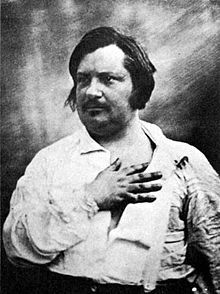 The photo’s reality is in the eyes of the spectator, the subject does not “seek our gaze”, quite the reverse: it is the spectator who must meet their gaze and react to it. What gaze does the spectator meet in Capa’s photo? The spectator sees a large light-coloured background of sky which contains a hazy description of white clouds. The foreground is a dry-grassed hillside that stands directly in front of a background of low, dark sierra. To the left in the foreground a man is falling backwards (his shadow travels uphill behind him) with his right arm outstretched, holding a rifle which seems to be falling out of his hand. He wears light-coloured trousers; two bags, or cartridge holders, or other such containers, are looped across his shoulders or affixed to his body by leather braces. His face is turned to the left and back, and his mouth is set in a straight line whilst his eyes are closed. A mass of dark-coloured substance is exiting from the top of his head. This description of the physicalities of the photograph also reveals, finally, Barthes’ studium, the moment the bullet enters the soldier’s head and sends him flying backwards. The studium, according to Wesleyan University’s Michael Roth, concentrates on “personal or subjective aspects of responses to the medium”. Capa’s photograph is intensely theatrical, not only because of the possibility of it being somehow purposefully ‘posed’, but because Capa seems to capture the theatre of war and anti-facism – and because even if only “unintentionally (it) contain(s) a detail that defines the emotional core of the image”, it is the money shot of the Spanish Civil War. Roth suggests there is no “ontological guarantee that it was not intended to be so by the photographer”, revealing the inherent theatricality (the ambiguities of reality) not only in photography (and the spectator-operator-spectrum relationship) as a medium and photography’s difficult relationship with its temporal framework, but also the tension between Sontag’s rationality faced with what critic Michael Fried sees as the “inherent theatricality of the photographic artifact”. The article will leave the photograph’s uncertain genesis at this point – its theatricality, posed or unposed, does not hold an ‘ontological guarantee’ and the only fact that can be gleaned from the image is that in some manner, it is an illusion that evokes misconstrued feelings and thoughts. But Sontag’s moral outrage at the spectator’s irrational reaction to this theatrical moment, and its political and historical ramifications, are less clear. The photograph captures Capa’s heroic skills, Sontag’s stern words and the ambiguity of spectacle as much as it captures the dying man as a symbol of the fight against facism. It is this unclear reality that stands out the most, a schizophrenic image, indeed Barthes’ “mad image, chafed by reality”, that could indeed allow the spectator a kind of detached spatial awareness which may remove the immediacy of horror. The madness of the image does not discount Sontag’s moral outrage – it makes of it, though, an ambiguous space that Sontag originally suggests is the plane in which the spectator apprehends the real. The ‘real’ apprehended is strange, multifaceted, confusing. This ambiguity is the complex response a photograph elicits. In confronting photographic violence, the spectator is confronted with an image that is crowded with the whispered image of a ghost, Barthes’ “return of the dead”, which we are however separate from because, as Sliwinski notes, of “the radical malleability of photographic meaning (where)… the meaning of a photographic image is never fixed, never guaranteed and never to be trusted”. This leaves the spectator unsure if they ‘apprehend’ a real image that is, in any case, a post-Platonic illusion, but at least leaves them with Sontag’s abstract “memory” that perhaps is “the only relation we can have with the dead”. This elusive and illusory memory may have something to do with knowledge, and may have something to do with emotion. All this, of course, is made more complex by the lack of ‘ontological guarantee’ in Capa’s photo – that is to say, an illusion of reality that is a mock-up of that very illusion. Barthes would call this the failure of the punctum to ‘prick him’, that is, the failure of the minutiae of the photograph to provoke him, to “attract… or distress him”. The illusory film exists as abstraction. This double illusion engenders a dangerous passivity on the part of the spectator (where time and reality is substituted or diluted, but still accepted by the spectator in some way, at least visually), embodying a negative element of control later discarded by Sontag as an excuse for lack of responsible seeing. It introduces an indirectly political facet where Walter Benjamin suggested that “free-floating contemplation is no longer an appropriate reaction” but where the reaction is not, necessarily, a conscious one. Certainly, the subconscious and abstract reaction to the image is akin to a shadow looming over one’s contemplation of it. The politics of the image itself may not be indirect, even if the spectator’s grasp of what they are seeing is. Benjamin’s vision of the political, mass-produced image holds up Capa’s falling soldier as a symbol of the Republican struggle against facism. Benjamin does not see a ‘cultic’ nature to the image – this is no object of worship. Capa’s image may attempt to transmit this to the spectator. It has been suggested by Mendelsohn and Smith, writing on the forming of the Jewish state of Israel, that Capa “helped to legitimize the creation of Israel for western audiences” through a certain ‘artifice’ in his representation, and the same could be said here – that Capa’s falling soldier is underpinned by the Operator’s political ideology and we have access to a work of art that “rather than being underpinned by ritual… (is) underpinned by… politics” (Benjamin). If the spectator’s reception of a skewed and politically biased reality through the mechanical image is set as Benjamin suggests, then Capa’s soldier is the Operator’s (Capa’s) dialogue with the Spectator. Capa was a political animal working through a political medium, and Capa as “the photographer took sides, and the side chosen was that of the victim”. 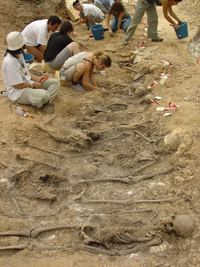 The political nature reflected in Frances Torres’ recent photography of the mass graves of Spanish civil war victims, and its moving personal narrative, certainly do not allow for ‘free-floating contemplation’. Torres felt charged to publicise, or share with a society he saw to be in denial, the photographs of the victims of mass murder near Burgos: “I wanted to photograph the landscape and objects… their extremely powerful Benjaminian aura charged with meaning”. Torres’ emotional reaction to the subject matter and his desire (and ability) to distribute the images seems precisely the political aura that Benjamin saw photography as a medium was infused with. It is also the voice, or ghost, in the machine that Sontag feels “we… this ‘we’ who has never experienced anything like what they went through – don’t understand”. 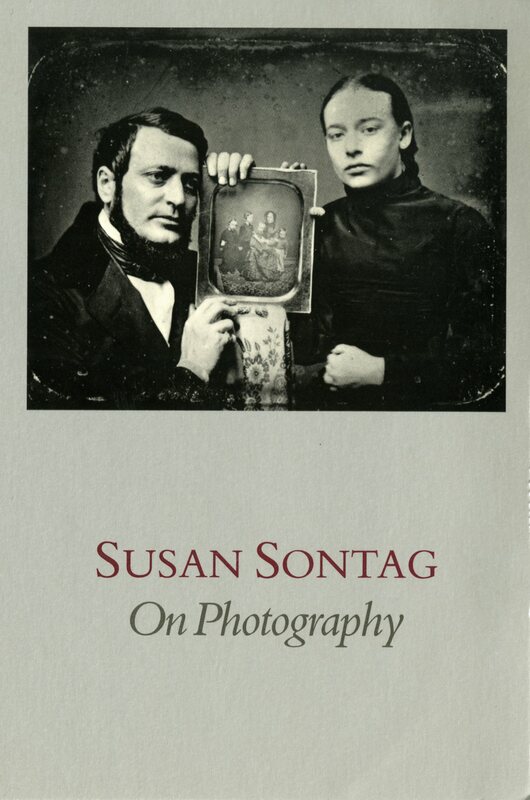 Far from being detached, Sontag seems to take on a much less analytical, more personal attitude towards photography in her later work, a kind of working pain from subjection to images of violence that translated into political anger. Barthes himself, in his journey to ‘discover’ the only extant Photograph “for me”, exhibits a personal obsession with a certain photograph of his mother (who had recently died), the Winter Garden Photograph, that he admits “exists only for me. For you it would be nothing but an indifferent picture”. A personal fixation with a certain image reveals the spectator’s already skewed reality as being split further. Barthes sees “all the world’s photographs formed (as) a Labyrinth…” wherein lies a “monster or treasure”. Admittedly, this article’s search for the labyrinthine tension to be found in-between Sontag’s wavering theories and Capa’s elusive image cannot replicate the semi-madness of grief Barthes discovers in the monstrous treasure of the Winter Garden Photograph. However, the splitting of realities refracted by the myriad of spectators in a mass audience (including Sontag) means that the illusion of Capa’s photograph is made even more difficult to apprehend. Put simply, what for one may be the image of a dying Republican soldier, or what for Torres may be the image of mass graves near Burgos, may for another be a rather different kind of monster, treasure, or ghost. Sontag’s call for rational political action is belied by her inability to engage with the ‘photographic artifact’ without an intense theatricality of her own, be it an annihilation of Diane Arbus’ ‘pathetic’ work whilst not mentioning the (presumably) non-pathetic photos Arbus took of Sontag and her son and Annie Liebovitz’s pseudo-religious storyboarding of Sontag’s death with Sontag’s blessing. 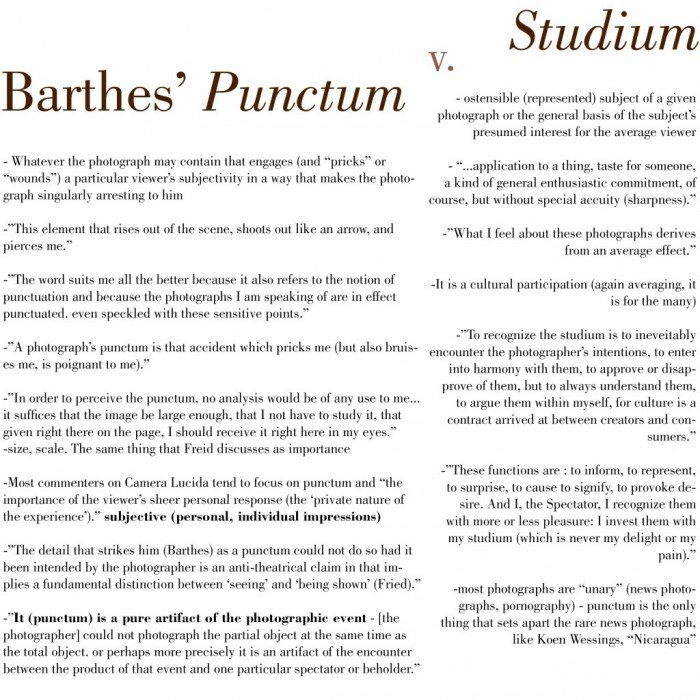 This article has discussed Barthes’ photographic ghosts – the ‘return of the dead’, who appear as spectral images on photographic paper and whose ‘reality’ is apprehended variously by spectators. This spectral image is multiplied by Jo Labanyi’s work on the ‘hauntological’ nature of Spanish cultural theory, where official Francoist History “relegated those suspected of opposition to the ghostly status of ‘the disappeared’ – consigned to physical or cultural death”, which is precisely what happened, at least ideologically, to Capa’s falling soldier. Indeed, his name is still unknown, at best contested. 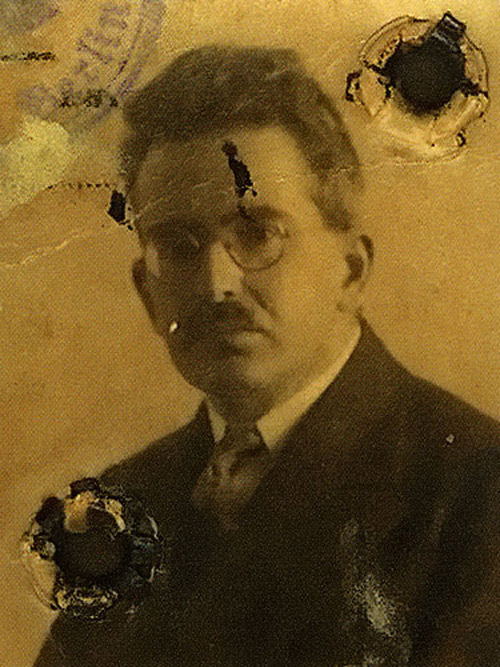 Especially interesting is Labanyi’s examination of Muñoz Molina’s novel El jinete polaco (1991) “in which the past emerges from the gaps in betwen the photographs of Ramiro Retratista”. These temporal “discontinuities” in the representation of the past reveal the “spectral quality of the traces left by the past on the present, and of the moral imperative that requires us to bear witness to… ghosts”. These are the same traces that Roth calls “neither… a pure trace of the past, nor… a mere invitation to spectacle” – the temporal trace is spectral – and shows photography to be, as Sontag wrote in 1977, “an interpretation of the real… a trace, something directly stencilled off the real, like a footprint or a death mask” – Sontag’s ‘death mask’ of reality haunts the same plane as Labanyi’s ‘spectral traces’ of the past. What is perhaps most complex about Capa’s photograph is, thus, the spectral image, or language, that reaches the spectator. Berger suggests that “photography has no language of its own. One learns to read photographs as one learns to read footprints or cardiograms”, which directly echoes Sontag’s 1970s interpretation of the (un)reality of the image, which in terms of Spanish history is the ghostly heartbeat of the falling Republican, and in a moral sense is Barthes’ “return of the dead”, a haunting politic that is elusive and questing, questioning who the ghost(s) is/are in Capa’s Spectrum of the falling soldier, whether Capa himself, the unknown (or known) soldier, Sontag/Barthes or the Spectator, or all of them, stuck in Barthes’ ‘labyrinth’. Andrew F Giles is the editor of NLP. He is also a poet and has work in Ambit, Equinox, Gutter and other publications.